I look forward to weekend for the bread baking experiences. 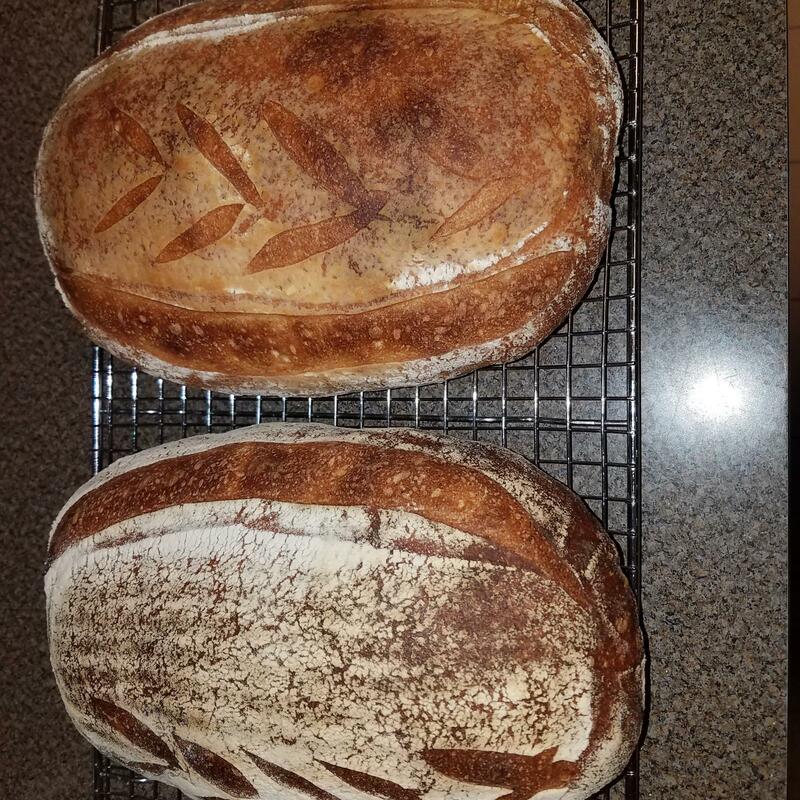 Having just started in the last few months using sourdough it really is fun and maybe not as difficult as some make it. 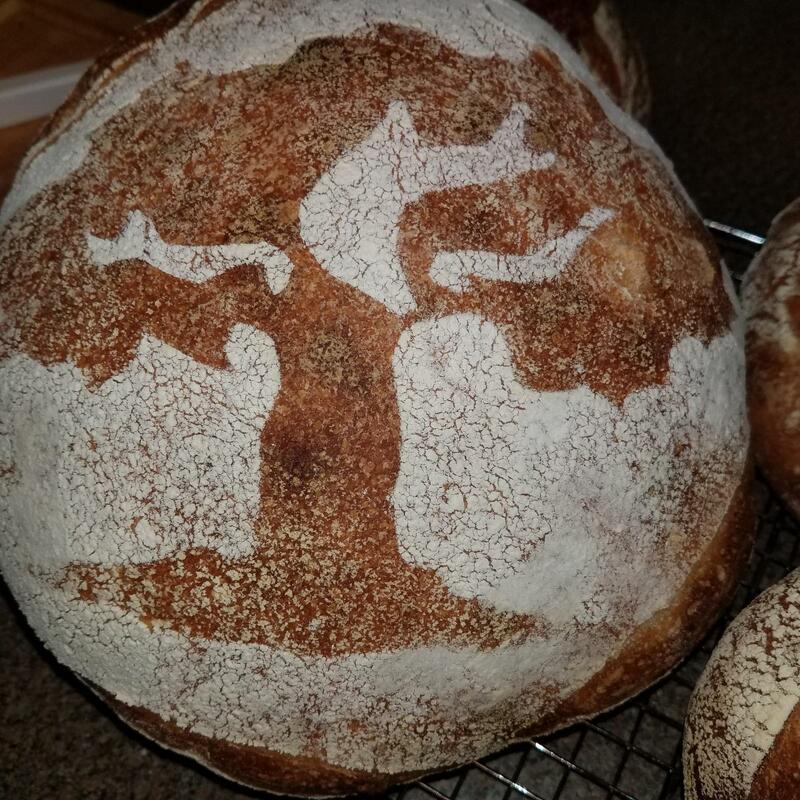 Hey Davey, you are baking some great looking breads! so when making SD people are looking for larger holes? Large holes are a personal preference. Some bakers love them and others don’t. Either way I don’t think the size of the holes have a great affect on the flavor, but it does affect the chew and the texture of the slice. 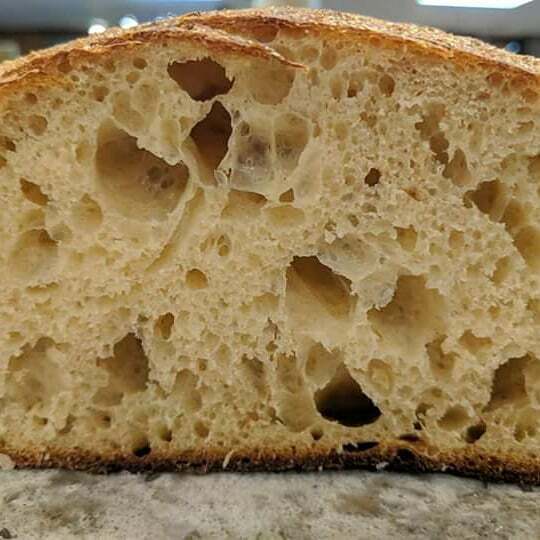 In this image the very large holes, coupled with the surrounding dense crumb is an indicator that the dough was not proofed long enough (under-proofed). 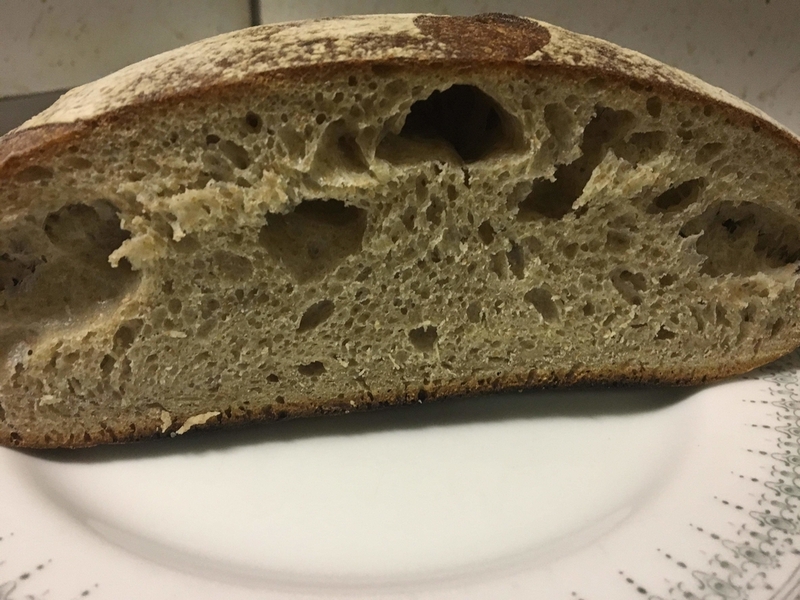 Your other crumb shot looks better. Notice how dense the majority of the crumb is in the first image. An over all open crumb will make for a light bread that is most often desired. I understand now. difference between the two crumbs, the under developed was done at RT and the better crumb done with my new proofer.